Schematic Procedure for the EpiQuik™ Total RNA Isolation Kit (Plant). 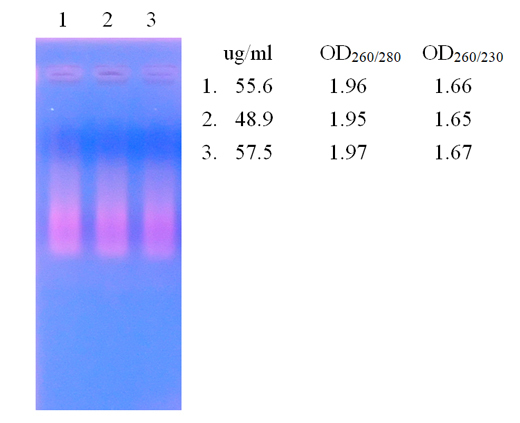 Total RNA isolated from 100 mg phalaenopsis leave using the EpiQuik™ Total RNA Isolation Kit (Plant). This kit contains all the reagents required for successfully performing RNA isolation directly from plant tissues. 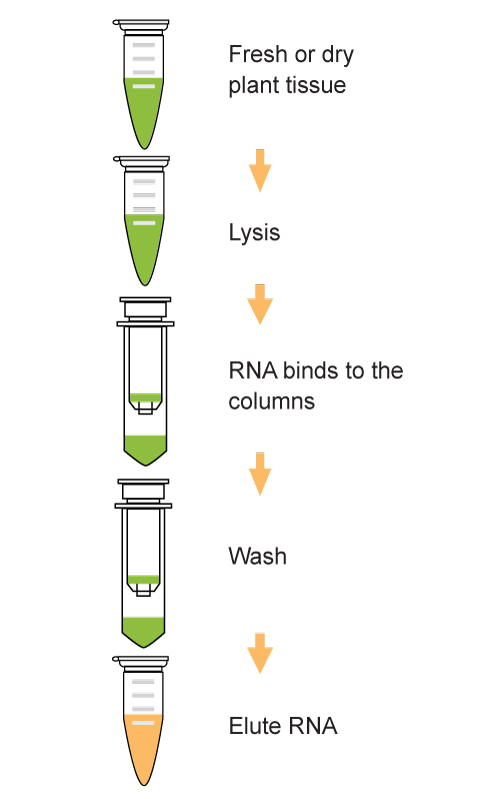 After lysis, binding, and wash, RNA is easily recovered in quantities of up to 30 µg using specially designed columns. Total RNA is then ready to be used for a variety of downstream applications. The amount of starting materials can be 100 mg of fresh plant tissue or 25 mg of dry plant tissue. A total of 50 standard extractions can be performed with this kit. Yield of the total RNA can be up to 30 µg. The yield may vary depending on the sample type. *Add 30 ml ethanol (96~100%) to the W2 (Wash Buffer-2), and shake before use.